Every modern household should be equipped with some necessary tools in case of emergency repairs. 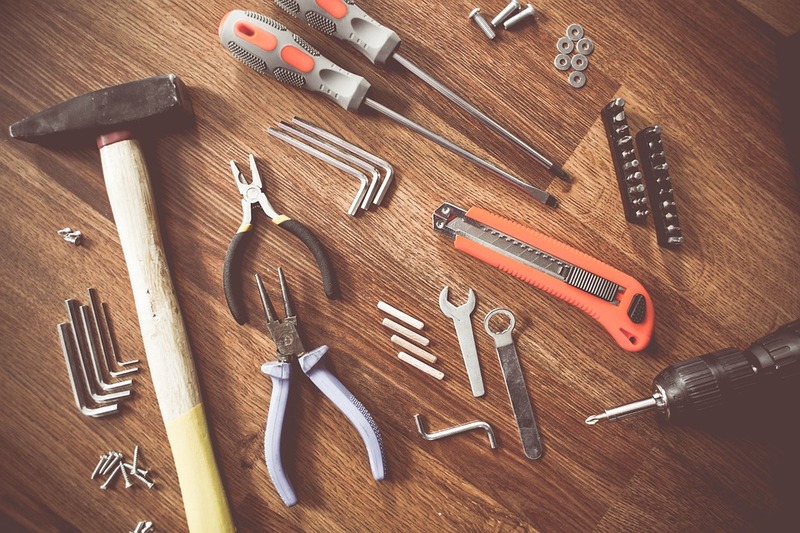 Whether you are a DIY expert who turned their garage into a workshop, or just simply want to be able to do some repairs around the house, you must acquire some common tools for your toolbox. We have prepared a list of some of the most useful items that every home should possess. We have all been in those frustrating situations when we desperately needed to unscrew something and didn’t have a screwdriver handy. Instead of risking damaging other items like knives and forks by using them as replacements, head out to your nearest hardware store and get screwdrivers in different shapes and sizes. Duct tape can come in handy in a lot of situations when you need to do something other than sealing boxes. For fixing picture frames, shoes, clothes, furniture, and almost anything with a tear basically, duct tape is the perfect solution. We recommend exploring some of the numerous ways that duct tape can make your life simpler. Utility knives can help you cut through almost any material. And this means that handling them requires caution. This knife can be used for many different things around the house from cutting boxes to cutting roof shingles. Make sure that you buy one with a firm rubber grip, since standard ones with plastic grips tend to slip off out of your hand when you work a lot and your palms get sweaty. For households which use firewood for heating, a handsaw is a perfect tool. But handsaws are not designed specifically for wood cutting. They differ depending on the material you want to saw as they are made with different numbers of teeth per inch of the blade. There are numerous models of handsaws and we would advise buying one which has a removable blade, so that you can easily replace the old one when it breaks. We recommend contacting professionals for the most prestigious woodworking tools. Tape measure is simply a must-have in any household. You can use it to measure the space where you want to place your new furniture items. Regular tape measure can retract really fast so make sure to teach your kids how to use it safely, or keep it at a safe distance from them. Toolboxes are essentially incomplete without at least one power tool. A power drill can immensely help you while redecorating your home. Whenever you plan on hanging something on your walls, you can simply use a power drill to achieve that goal in no time. Make sure that you buy a cordless one since they can help you maneuver more easily. A power drill usually comes with a lot of add-ons, which expand its applicability. This means that you will be able to sand and grind materials, or even stir paint. This item will help you a lot if you want to renovate your home. Hanging pictures evenly becomes easy when you use a level. Levels are used for a variety of reasons – for example, when you want to hang a shelf, or you just want your flat-screen TV to be positioned on the wall perfectly. Nowadays, people have started using laser ones since they are more precise. For every person who likes to customize their car on their own from time to time, a wrench is a core item. Additionally, if you excel at DIY projects and you want to surprise your children by building them a swing or seesaw, make sure to get one. You can buy a wrench with a longer handle if you need to do some work on your car and you need that extra length to reach a difficult spot. A wheelbarrow has many practical uses. It is mainly used for collecting and transporting leaves and other materials from your garden to a place where you want to unload them. Kids love wheelbarrows because they can have a lot of fun riding around in them. Last but not least, you will have to buy a utility belt. Whether you are working on your roof, or somewhere in the house, you will need it so that you can have a variety of tools at hand. ← Is your house a rustic chic, vintage or a modern type?